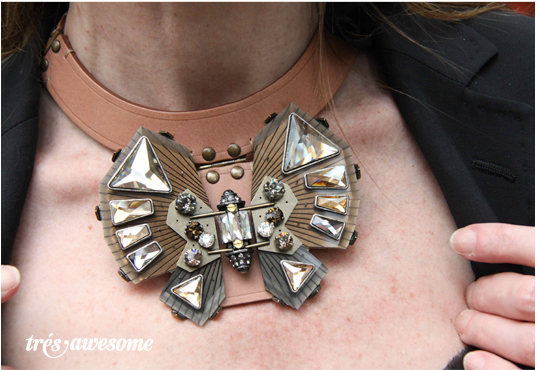 This Lanvin Butterfly leather cuff necklace is truly spectacular. So beautiful. I love the one in pink too. That necklace is simply perfect. It matches her attire so well. I bet it goes with casual wear too.